Her name is Mae. 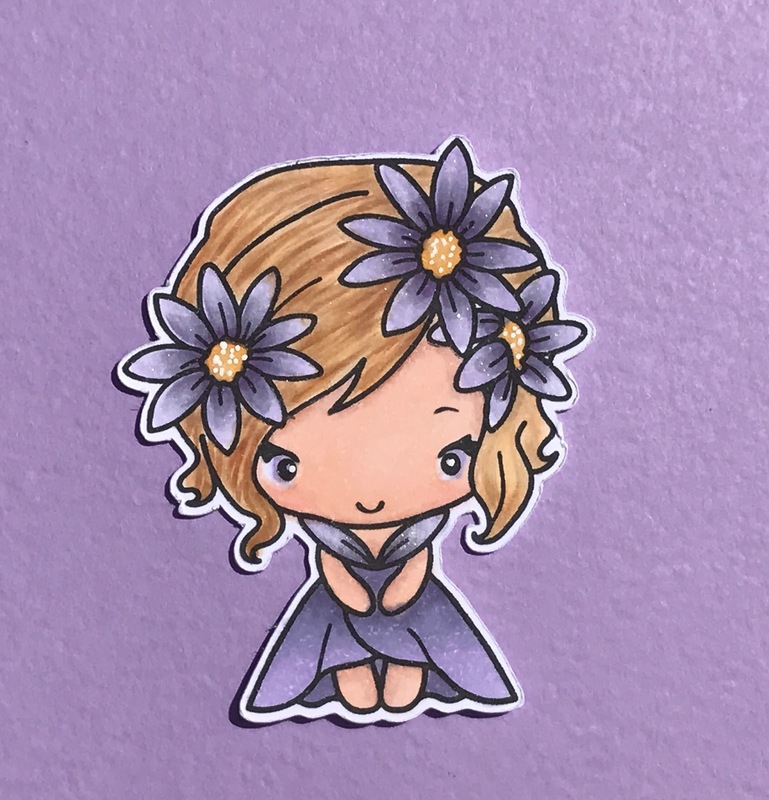 I colored her with copic markers, the dress, eyes and flowers in violets and her hair in E's and YR's and then I cut her out with the Brother Scan and Cut . I love purple! It's nice to see a different color pallet. She's so cute!Thanks for sharing! Mae is beautiful. Looks like she is ready for her prom. Lovely choice of colors. love the purple color. thanks for sharing. Love this such pretty colors. Needs to get some purple and violet copics!! Omg she is soo cute!! Great job! I love purple! She is so adorable!